Place the rotisserie chicken in a large skillet, lightly coat with Italian dressing (I used approximately half a cup) and heat the chicken while stirring occasionally. 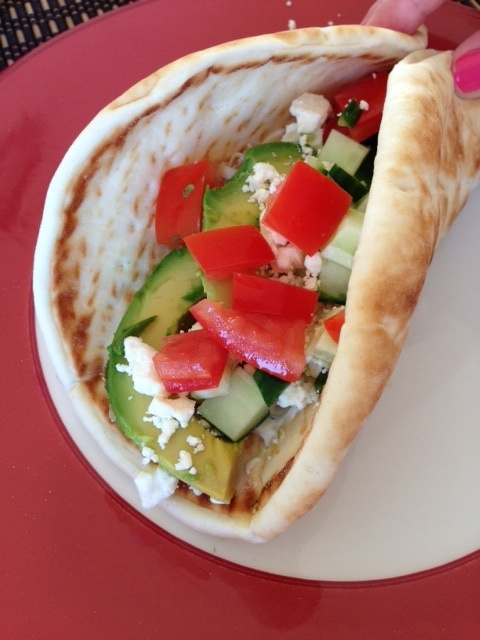 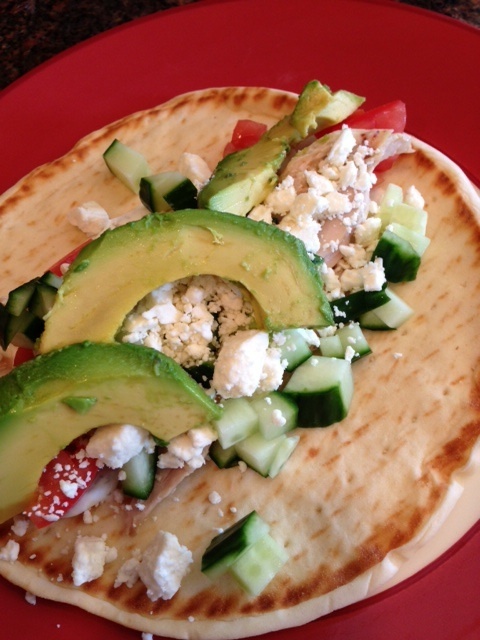 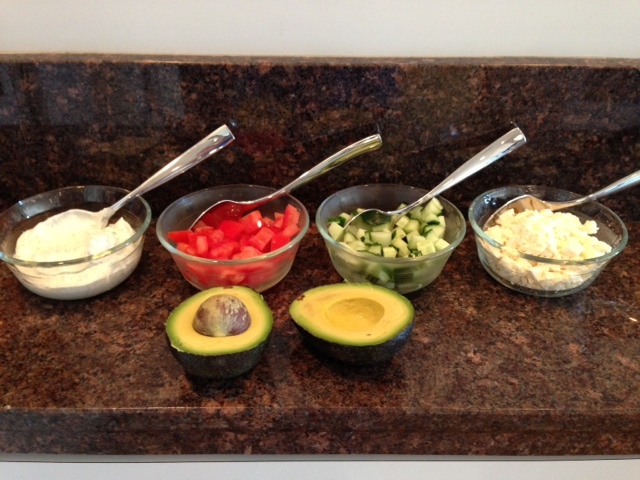 To assemble, grab a warmed piece of flat bread and spread a dollop of tzatziki all around it. Add chicken and toppings.